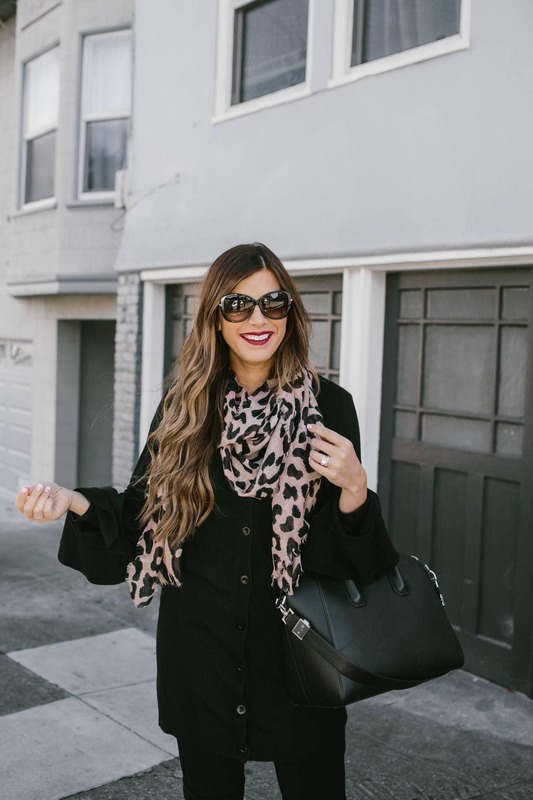 Something about an all black outfit, oversized sunnies, and a pop of animal print makes me feel like a 60's film star. It seems like something Audrey Hepburn might have worn in Funny Face or Breakfast at Tiffany's. It's chic, easy, and forever in style. 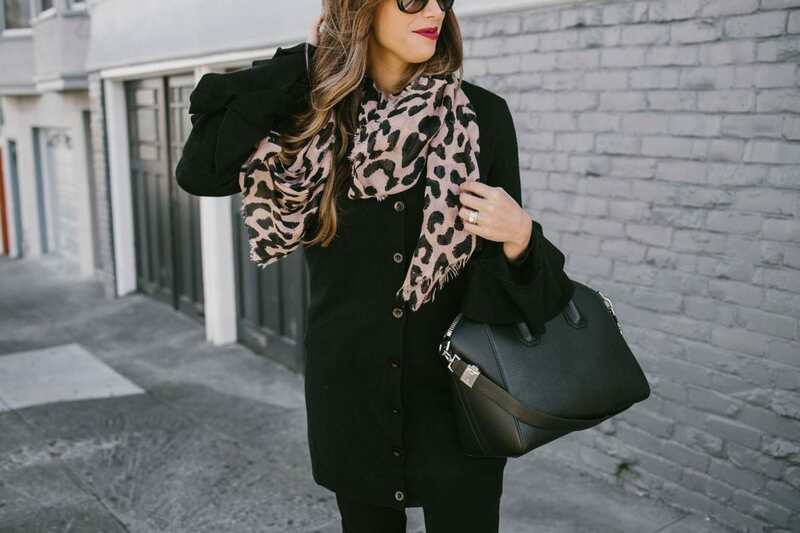 And today I'm sharing some easy pieces, like this $19 leopard scarf, to put this look together for this Fall and Winter season. 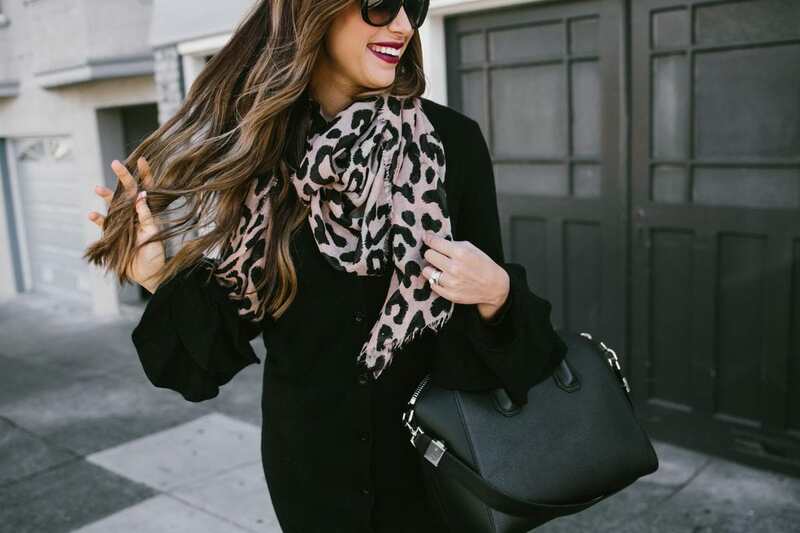 I don't know which I love more, the drama of the ruffles or the fierceness of that animal print! I love the tiers of ruffles on the cuffs of this cardigan because you have never have too many ruffles! This card was a fave find of 2017 but it sold out SO FAST! We're praying for a restock because it's just so good, but for now, here is an almost identical cardigan with the same amazing ruffles and length! 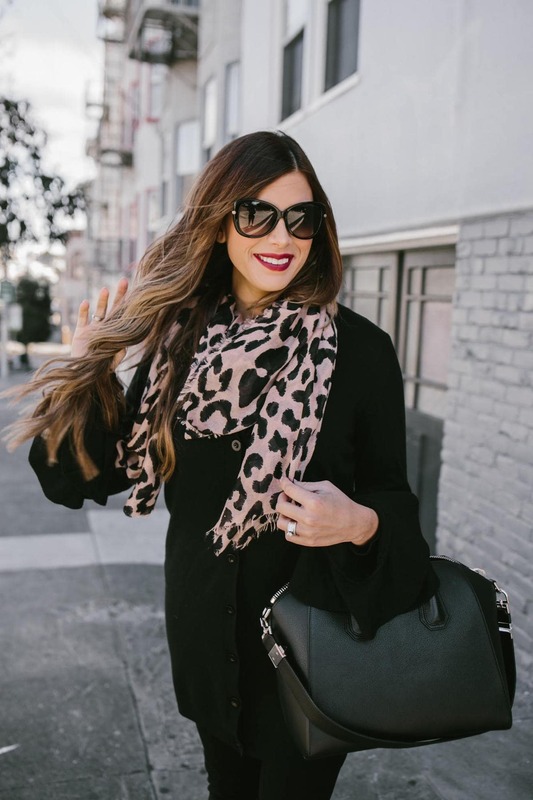 This leopard scarf is so pretty and super long (translation: super versatile) and animal print just works all year long. The colors are super vibrant and it's priced just right at only $19!!! High-quality bags, in my opinion, are completely splurge worthy! 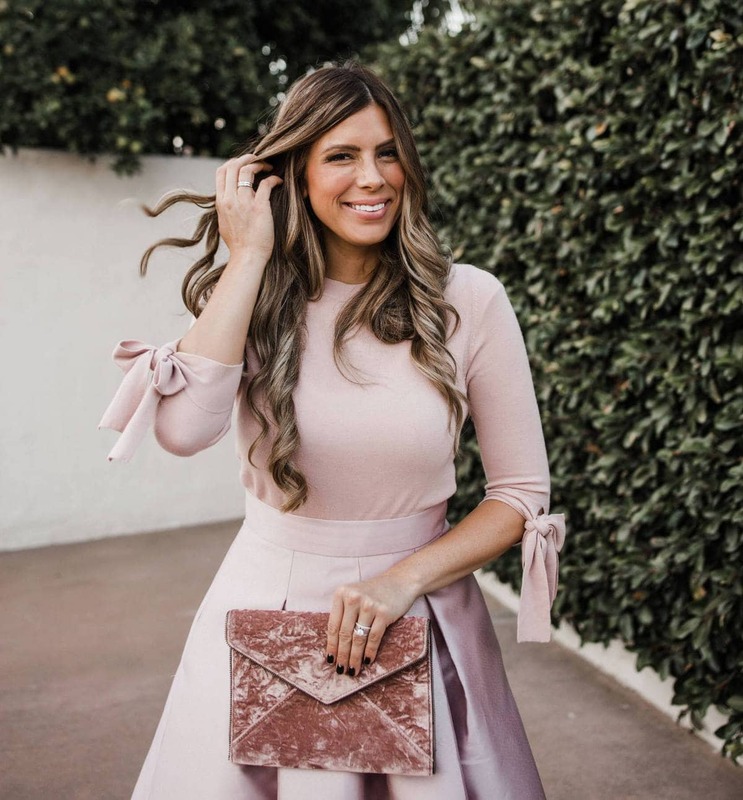 You can totally wear a high-quality bags for year and years and YEARS!! 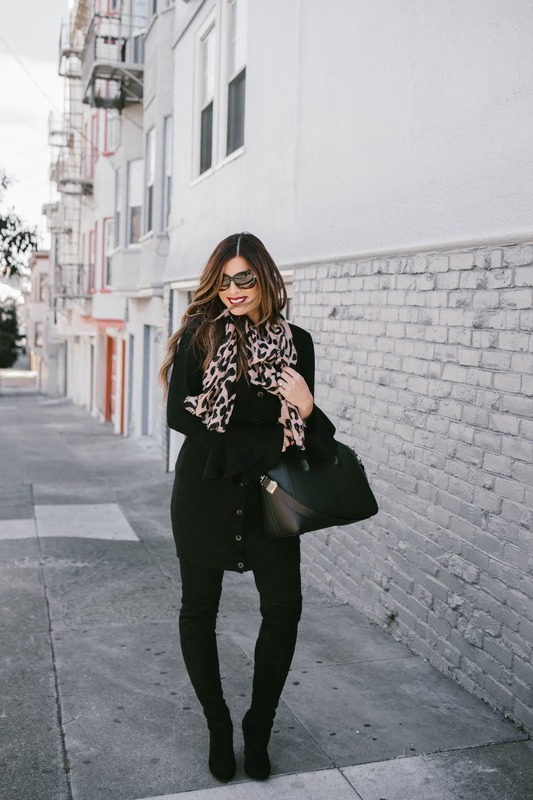 This black Givenchy satchel is a forever classic. And I've worn it here and here and here. But if splurging on bags isn't in your beliefs system (maybe you're a shoe girl! HA!) or your budget I have an AH-mazing dupe that looks very, very similar to the real deal. And it's $33! That is a SERIOUS save. These Tom Ford sunnies are a tried and true favorite of mine. I love the oversized shape, but that they're still super super lightweight! They're really comfortable and not heavy at all-so you can totally wear them all day long. Pair with a red lip and feel instantly glamorous. 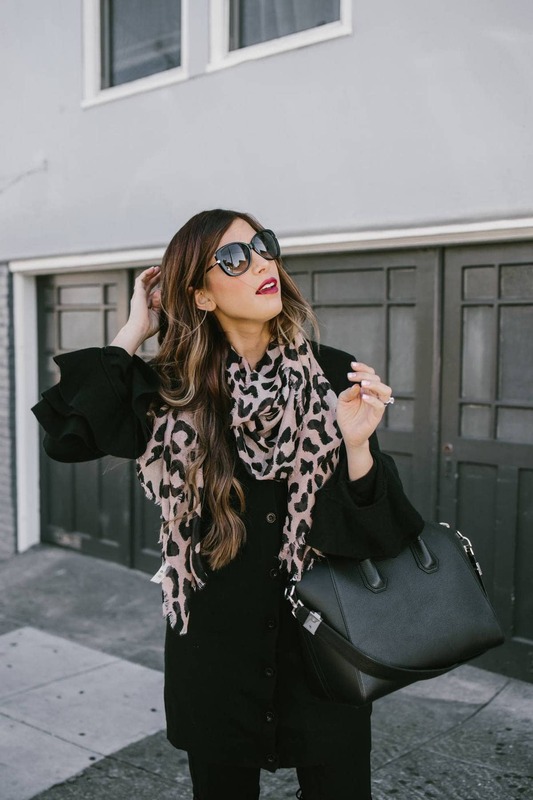 If you're not feeling like forking over the dough for these investment sunnies, you can get a super similar look with these sunnies for $14! The boots are the DUPES of my favorite OTK Stuart Weitzman boots and they are sooooooo good. They are like magic. They are insanely comfortable and look just exactly like the real thing. They run true to size and they're a fraction of the price! Tiny shoutout to these J. 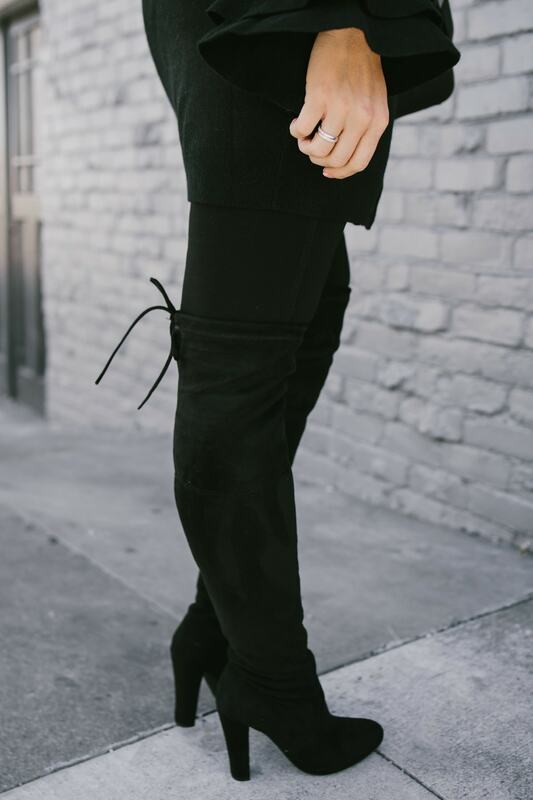 Brand skinnies that are still one of my truest fashion loves. They are the greatest magic trick for your legs! They run true to size and they are SO super slimming!! 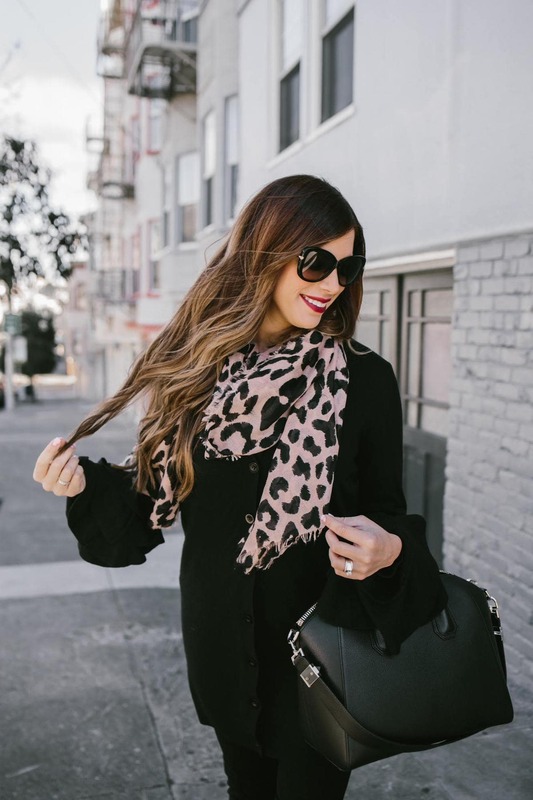 Below we've rounded up MORE super cute animal print options to fill your wardrobe up with this Fall and Winter! Such a statement piece. Love it!